We’ve always believed that if you can’t find something that’s exactly what you need, that going out and making it your mission to find exactly what it is you do need and want, and then turning it into your career – is a pretty radical move! Well, that’s exactly what the innovative and super sassy Linda Wang, founder of Karuna’s amazing Facial Masks did by creating Karuna! When Linda was a child she used to suffer from eczema, and one of her doctors that suggested she wrap her rash in plastic wrap after placing prescribed ointment on it. This is what sparked her idea for Karuna. Turns out that wrapping her rash in plastic wrap helped the ointment sink deeper into her skin, at a faster rate, causing it to heal much faster too. So when she was a little older and traveling through Asia, she discovered sheet masks, and straight away she knew that this would work in the same exact way. 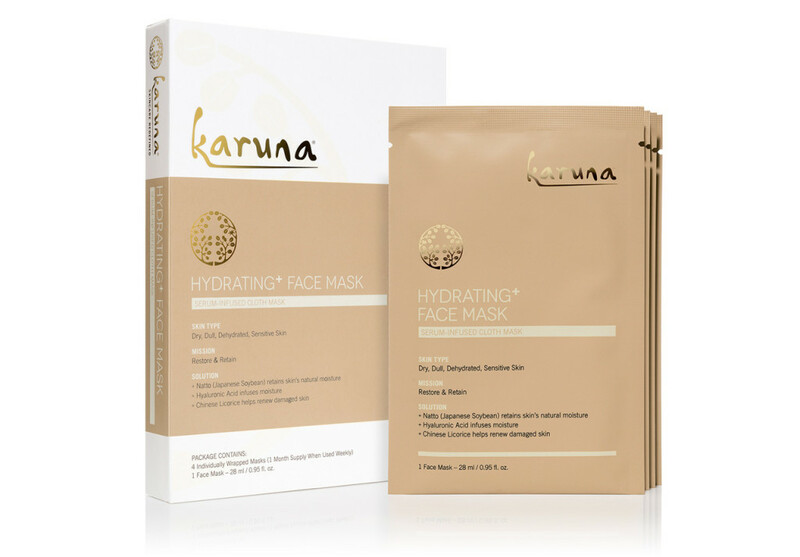 Problem was that any sheet masks that she truly loved, and that’s when Linda started Karuna. 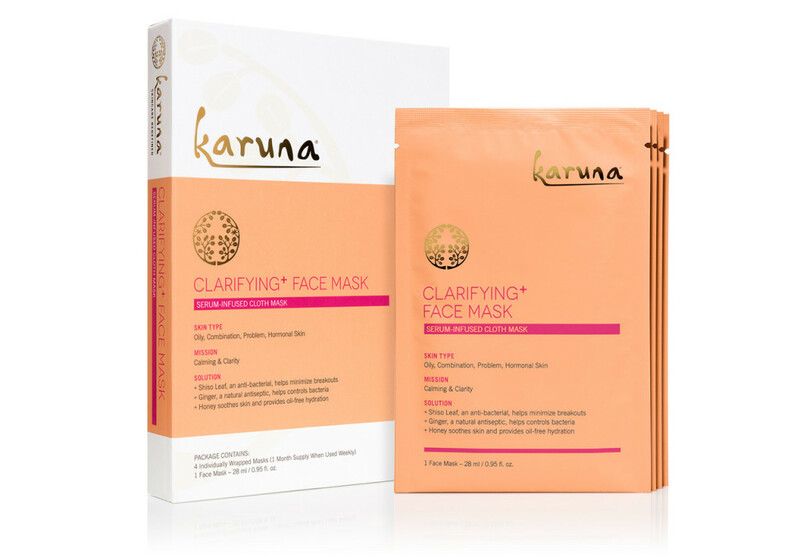 Obviously we were beyond excited to try these Karuna Sheet Masks out and they’ve really made an impact on our skin. 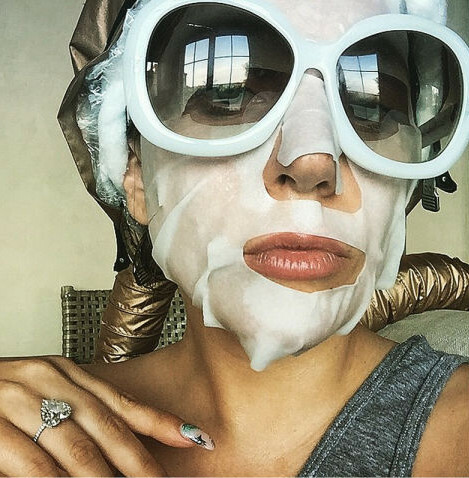 We’re clearly not the only ones that love these Sheet Masks, as the makeup artists of Hollywood have been making good use of Karuna Sheet Masks on their celebrity clients! Like Kim Kardashian’s Makeup Artist, Mario Dedivanovic (MakeUpByMario) and Makeup Artist, Daniela Klein, who’s worked with stars like Sarah Michelle Gellar, Rachel Zoe and Paris Hilton! Most recently, we heard that Lady Gaga’s Makeup Artist used a Karuna Sheet mask on her just before the Grammy’s this year! 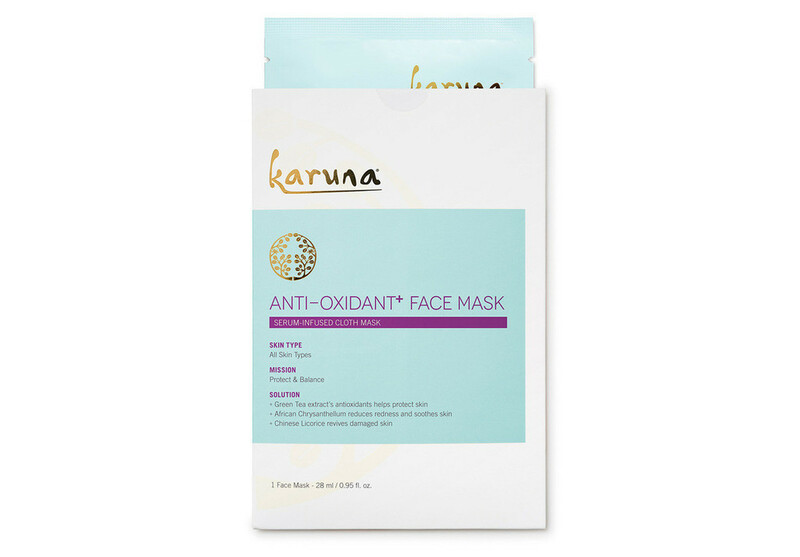 This Anti-Oxidant+ Sheet Mask is probably one of our favorites from the Karuna range. With a unique green tea blended with Chinese liquorice, our skin felt super soothed, conditioned and so much smoother! It feels really amazing placing this mask on your face, and is so much easier than any regular mask. Made from 100% all natural fibre cloth, this masks really opens up and clears your dirty pores. You’ll definitely feel the and see the results instantly! If you have dry and dull skin, then this is the absolute perfect mask for you! The Hydrating+ Mask really goes deep into your skin and, and has actually been clinically proven to increase the hydration of your skin by 40%! We loved how silky soft and smooth our facial skin felt after using this mask, and after using it for an entire month, we could see very visible results. This mask is so perfect for stressed out, overworked skin! 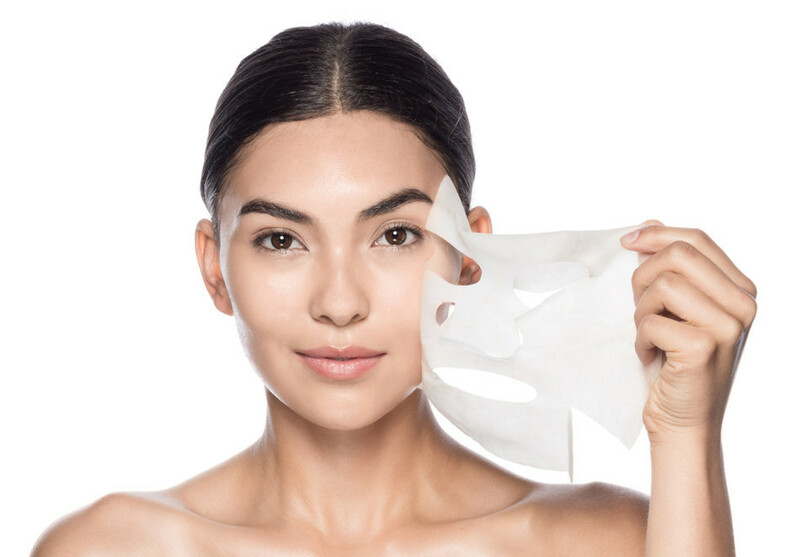 If you’ve been pulling long hours in the office and drinking coffee like a European, then you’ll definitely want to get yourself a few of these Clarifying+ Sheet Mask’s. They’re insanely luscious and literally just bring the life back into your skin, you could be getting 4 hours sleep a night but your face won’t show it! With a ginger, honey and shiso leaf blend, you’ll naturally feel all the hydration beaming back into your face.